Laminated Veneers could be your answer. Orthodontic is obviously a good treatment option for the misaligned and crooked teeth problems, however it can be a time consuming and expensive procedure and does not change the shade and color of the teeth, and will certainly not change the shape of your teeth. 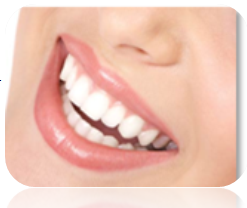 Veneers are becoming a realistic option for the above mentioned conditions. There are two types of veneers used by Cosmetic Dentists: porcelain veneers and recently laminated composite veneers, they are becoming very popular. to perform this procedure and to provide the desired result. What is Laminated Composite Veneer? This is a veneer built on the tooth/teeth at the dental office. Your expert Cosmetic Dentist at Bondi Dental, specializes in correcting patients’ smiles using this procedure. Your dentist free-handedly applies layers of composite materials with different hue, tones and chroma (to match patient’s existing teeth and to meet the patient’s requirements, i.e. the degree of whiteness) progressively onto the surface of the tooth/teeth. This will create the desired color, shade, and shape of the tooth/teeth you want and will give you the smile that you long for. The discolouration will be blocked out and the poor shape will be corrected at the same time. The result is a more beautiful smile built in front of your eyes. You can also be involved in deciding the “shape” of your teeth, because your dentist will do a mock-up and discuss with you to obtain your approval before the actual procedure starts. During the procedure, your dentist will continually show you the progress to give you a chance to comment and/or make changes. In a matter of 3-4 hours, you will have a whole new bright smile, right there and then. As no laboratory is involved Laminated Composite Veneers, this carriers a significant reduction in costs compared to porcelain veneers. If you desire to change your smile with Laminated Composite Veneers, book an appointment with us at 02 9365 7187 right now.